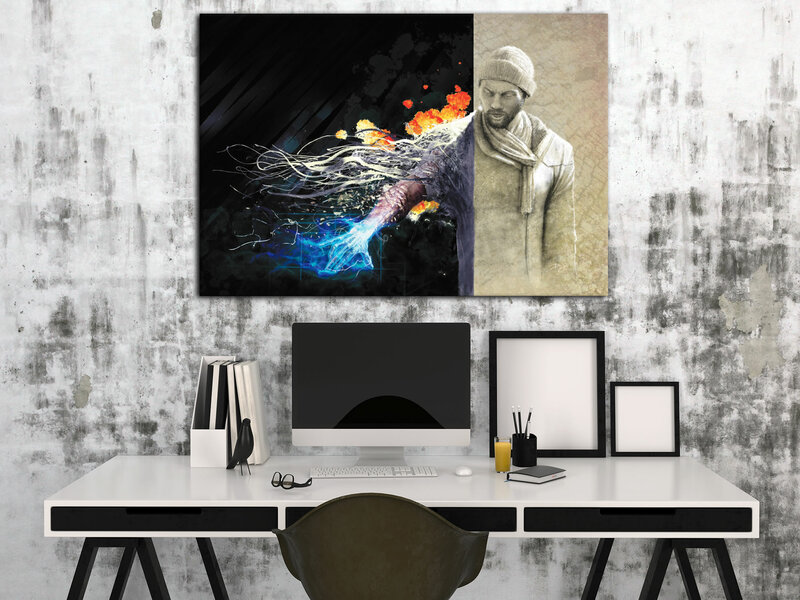 Our 'Ben Evolving' design is a very urban, self-reflection concept created by superbly talented digital graphic artist Ben Judd, and printed in vibrant colors and ultimate clarity with UV cured acrylic inks on a durable metal substrate. Ben has a very unique set of skills, with the ability to create both abstract and hyper-realism artwork digitally using a stylus and drawing pad. This piece shows something of a superhuman evolution as the trendy urban man reaches curiously from a desolate, arid landscape into a colorful, ultra-modern, and perhaps digital world. 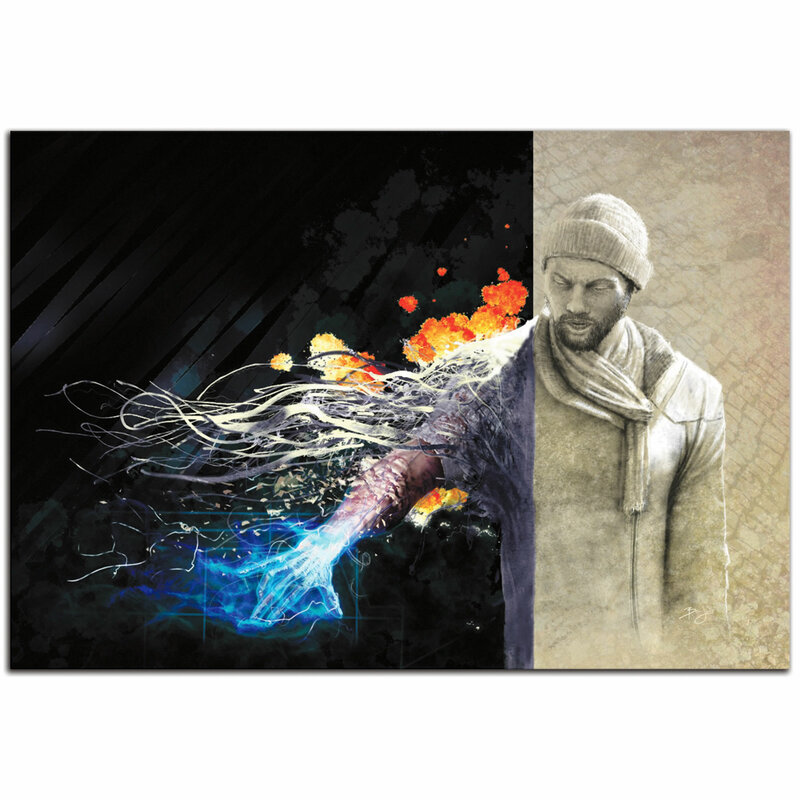 He seems intrigued by the power as he experiments with his pulsating hand, yet as it consumes him he sheds clothing, skin, flesh and opacity in fiery bursts of energy. Many parallels could be made to our modern society as we evolve into an overwhelmingly digital age with unprecedented accent to different forms of knowledge and power; this modern artwork seems to capture that theme in a visual spectacle with a science fiction twist.